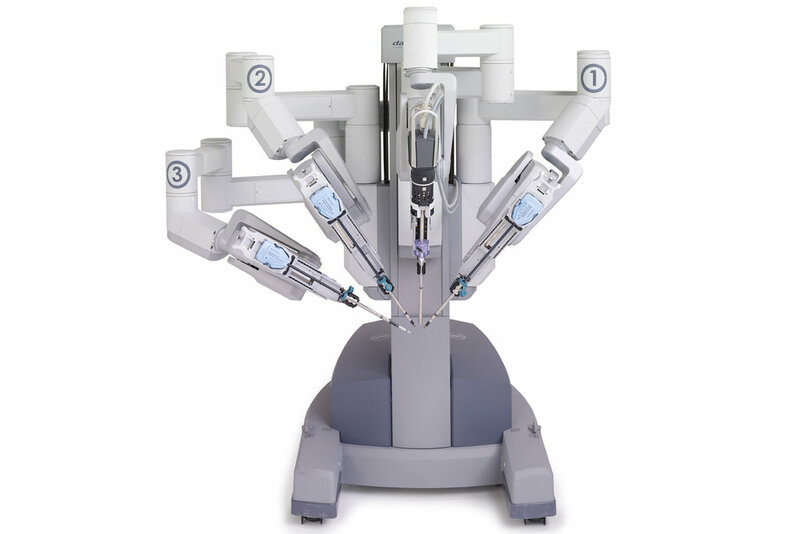 The daVinci Si surgical system is a state of the art tele-operated robotic system used to perform minimally invasive surgery. The system consists of an ergonomically designed surgeon’s console, a patient-side cart with four interactive robotic arms, and vision system that provides a three 3D view of the surgical field. The daVinci Si system uses its own set of fully articulated instruments that enables the surgeon’s hand movements to be natural and “tremor-free”. The surgeon’s console provides the surgeon a 3D view of the surgical field with a comfortable seating position. The height of the immersion area is adjustable to fit the surgeons size. The arm rest provides the surgeon ample support allowing him to comfortably manipulate the master slave system. The head rest area was designed to reduce glare and provide a more open feeling around the surgeons head.